Onely some pitty and no helpe to gaine. 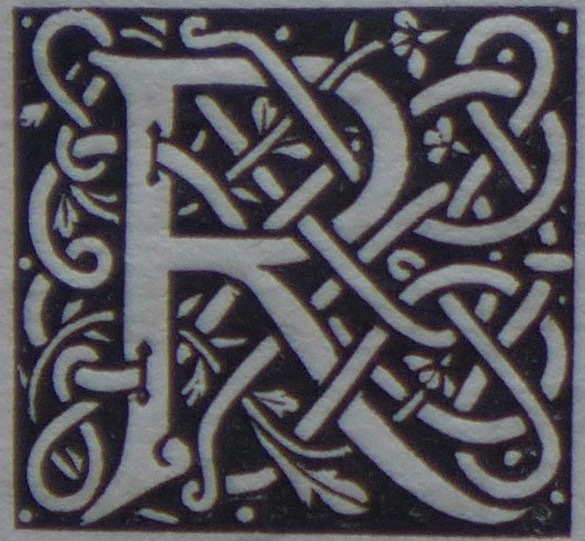 An initial 'R' was designed by Charles Ricketts for his edition of The Poems & Sonnets of Henry Constable (1897). 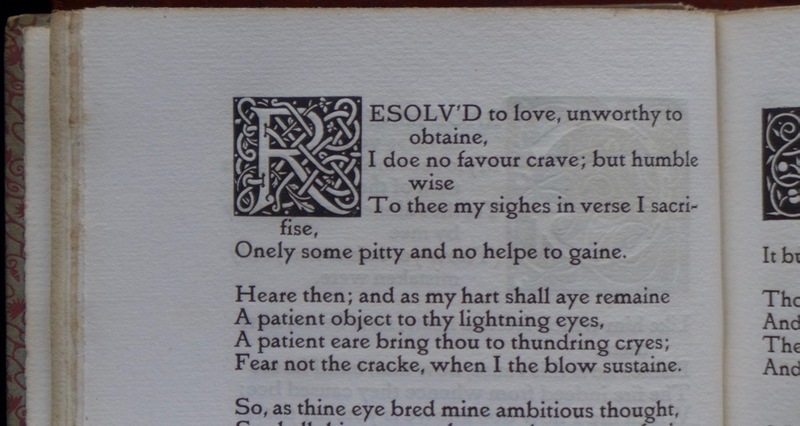 It was used for one of the sonnets in this book. 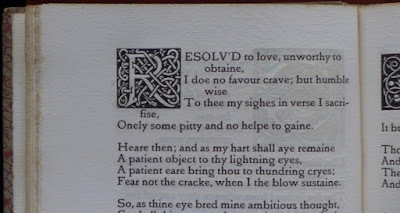 The same 'R' appeared in Robert Browning's Dramatic Romances and Lyrics (1899), in the poem 'Parting at Morning', and, again, in Poems of Alfred Lord Tennyson (1900), in the introductory poem 'To the Queen'. 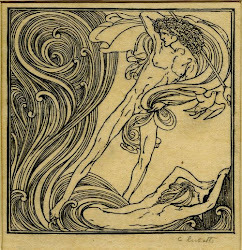 In each book the initial turns up only once. 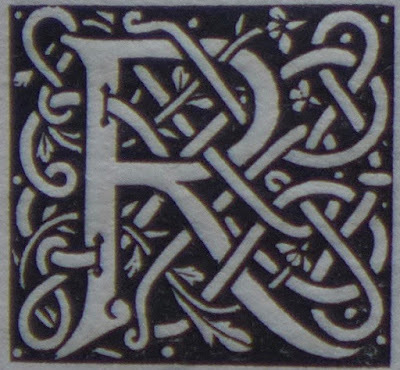 In similar cases, Ricketts designed a new initial for each book, but the 'R' was rarely needed as an initial, and Ricketts did not design any other initial 'R' at all (see blog 313. The 2017 Alphabet: K).